Perrish Cox | Clarksville Sports Network - Clarksville Tennessee's most trusted source for sports, including Austin Peay State University. 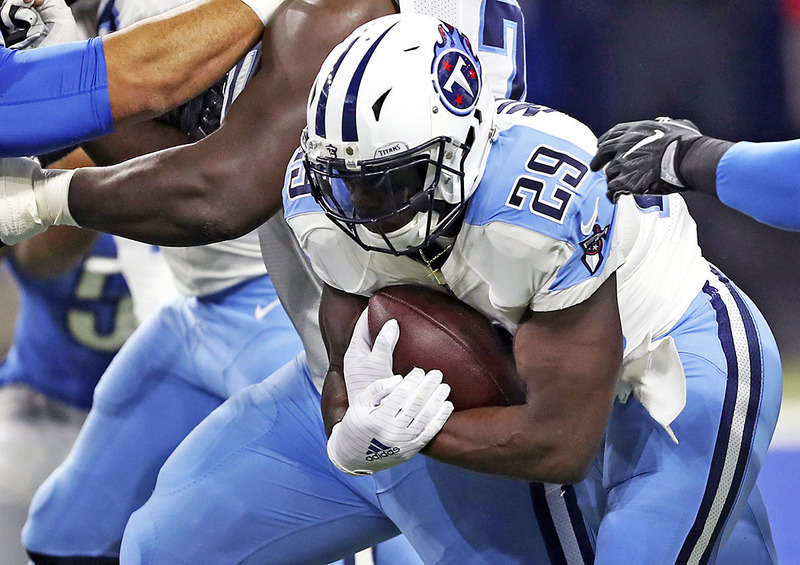 Nashville, TN – The Tennessee Titans-Houston Texans rivalry is in its 17th year since the expansion Texans began play and the AFC South was formed in 2002. In 33 games, the Titans are 18-15 against the Texans, including an 11-6 mark at Nissan Stadium and a 7-9 record at NRG Stadium. While the Titans have the advantage in the series and own a two-game winning streak, the Texans have won nine out of the last 13 battles. The Titans broke a five-game winning streak by the Texans in the series in the 2016 season finale at Nissan Stadium. In 2017, they split the series. Nashville, TN – The Tennessee Titans and Houston Texans rivalry is in its 17th year since the expansion Texans began play and the AFC South was formed in 2002. In 32 games, the Titans are 17-15 against the Texans, including a 10-6 mark at Nissan Stadium and a 7-9 record at NRG Stadium. While the Titans have the advantage in the series, the Texans have won nine out of the last 12 battles. The Titans broke a five-game winning streak by the Texans in the series in the 2016 season finale at Nissan Stadium. 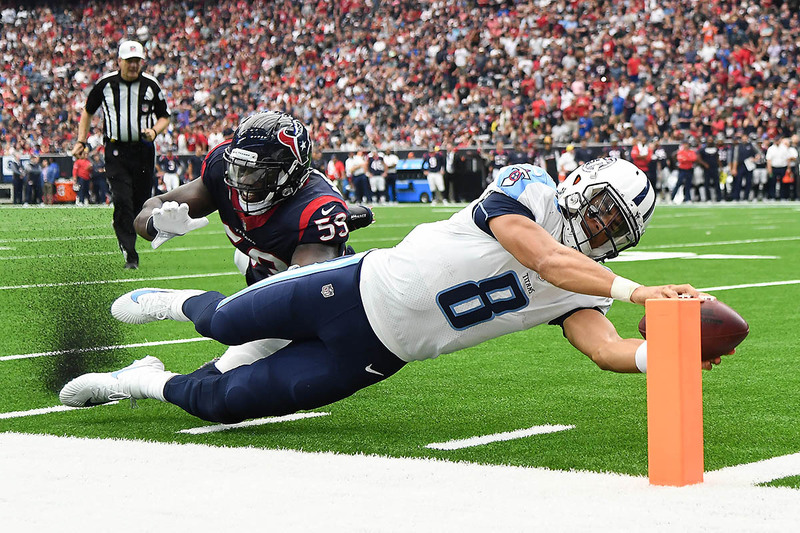 Nashville, TN – Tennessee Titans quarterback Marcus Mariota made NFL history by becoming the first player to record four-plus touchdowns in six of his first 22 games as he led Tennessee to a 47-25 win over the Green Bay Packers at Nissan Stadium. 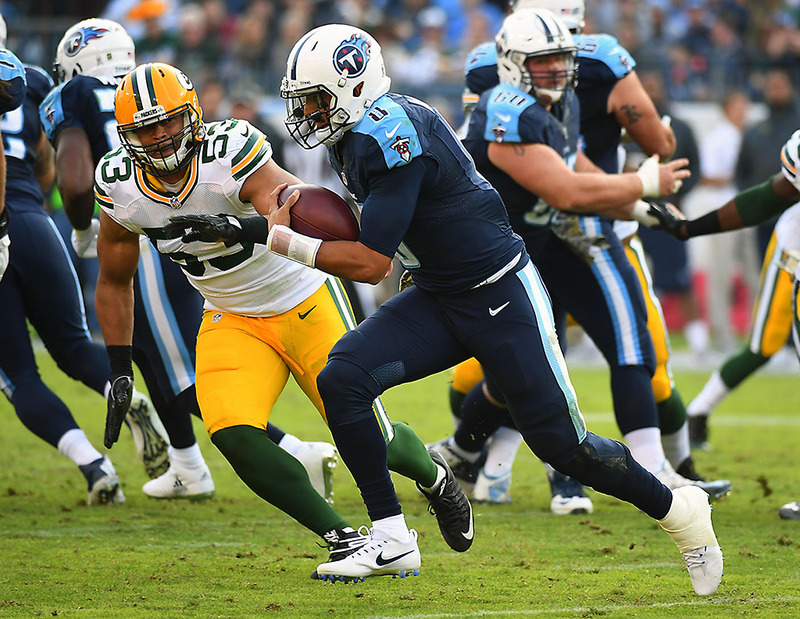 In route to tying their highest scoring output in Nissan Stadium history, the Titans engineered a six-touchdown, 446-yard performance on offense, while the defense recorded five sacks and limited the Packers to 69 yards on the ground. 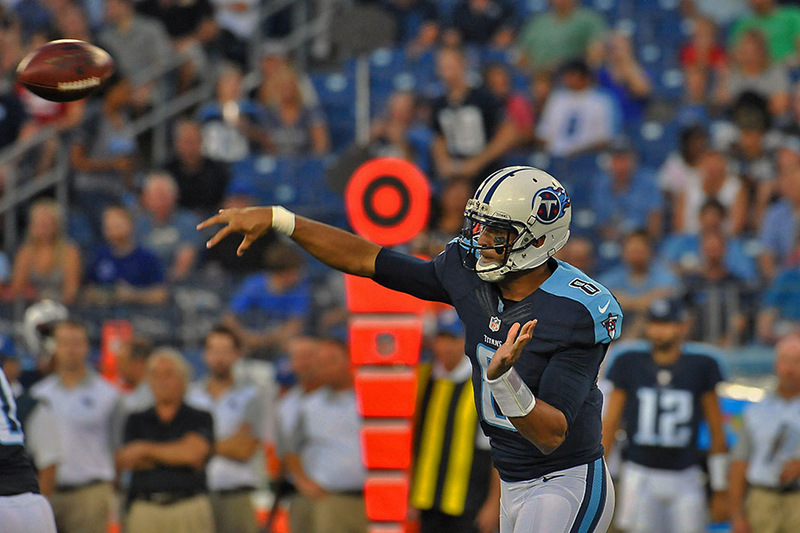 Mariota went 19-of-26 for 295 yards with four touchdowns, no interceptions and a 149.8 passer rating. 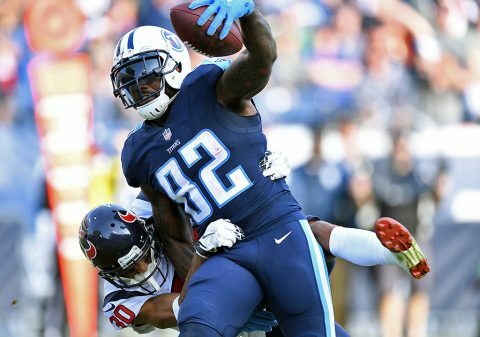 Nashville, TN – The Tennessee Titans-Houston Texans rivalry is in its 16th year since the expansion Texans began play and the AFC South was formed in 2002. In 31 games, the Titans are 16-15 against the Texans, including a 9-6 mark at Nissan Stadium and a 7-9 record at NRG Stadium. While the Titans have the advantage in the series, the Texans have won nine out of the last 11 battles. The Titans broke the Texans’ five-game winning streak in the series in the 2016 season finale at Nissan Stadium. 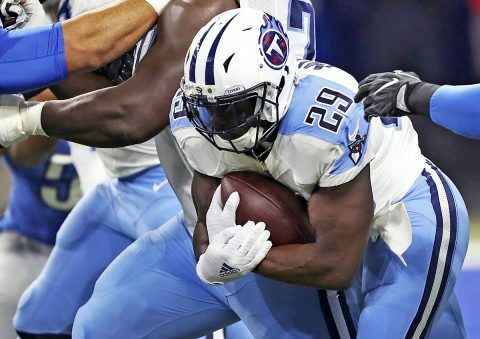 Nashville, TN – Following a thrilling victory on the road last week, the Tennessee Titans (1-1) return home to face the Oakland Raiders (1-1) this week. Kickoff at Nissan Stadium (capacity 69,143) is scheduled for noon CDT on Sunday, September 25th. This week’s game will be televised regionally on CBS, including Nashville affiliate WTVF NewsChannel 5. Play-by-play announcer Andrew Catalon will call the action alongside analysts Steve Tasker and Steve Beuerlein. The Titans Radio Network, including Nashville flagship 104.5 The Zone, will carry the game across the Mid-South with the “Voice of the Titans” Mike Keith, analyst Frank Wycheck, gameday host Rhett Bryan and sideline reporter Jonathan Hutton. 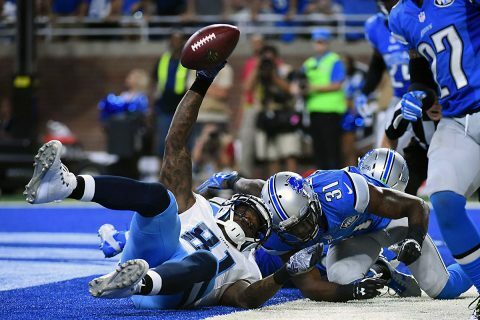 Nashville, TN – Down 15-3 in the fourth quarter, Tennessee Titans (1-1) quarterback Marcus Mariota put together two touchdown drives to give the Titans a 16-15 win over the Detroit Lions (1-1) Sunday. Detroit got the ball back with a 1:13 left on the clock with a chance to drive down for a winning field goal. However, Lions quarterback Matthew Stafford was picked off by Perrish Cox at the 50 yard line with only 18 seconds left in the game. Nashville, TN – The Tennessee Titans have announced the complete itinerary for the Academy Sports + Outdoors Titans Caravan, a regional series of free, public autograph signings. The Caravan will make 20 total stops in Tennessee, Kentucky, Alabama and Mississippi from April 30th through May 7th. 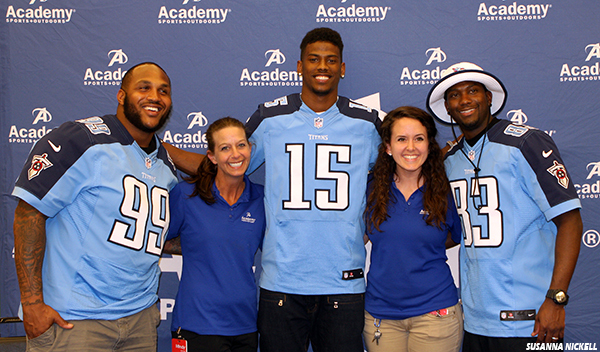 Academy Sports + Outdoors Titans Caravan public stops are free events that allow fans to meet players, T-Rac and the “Voice of the Titans” Mike Keith. Posters are provided at no cost to all Caravan attendees for autographs, and photos are encouraged. Public stops generally last one hour. Nashville, TN – The Tennessee Titans (0-0) begin the 2015 regular season this week with a road trip to face the Tampa Bay Buccaneers (0-0). Kickoff at Raymond James Stadium (capacity 65,908) is scheduled for 4:25pm EDT/3:25pm CDT on Sunday, September 13th. This week’s game will be televised regionally on CBS, including Nashville affiliate WTVF NewsChannel 5. Andrew Catalon will handle play-by-play duties, while Steve Tasker and Steve Beuerlein will serve as analysts. 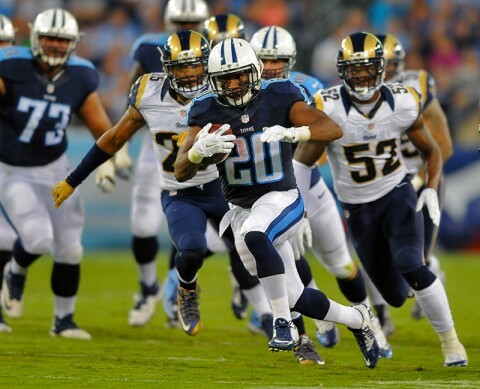 Nashville, TN – The Tennessee Titans (1-1) travel this week to face the Kansas City Chiefs (2-0) in Week 3 of the preseason. Kickoff at Arrowhead Stadium (capacity 76,416) is scheduled for 7:00pm CDT on Friday, August 28th. 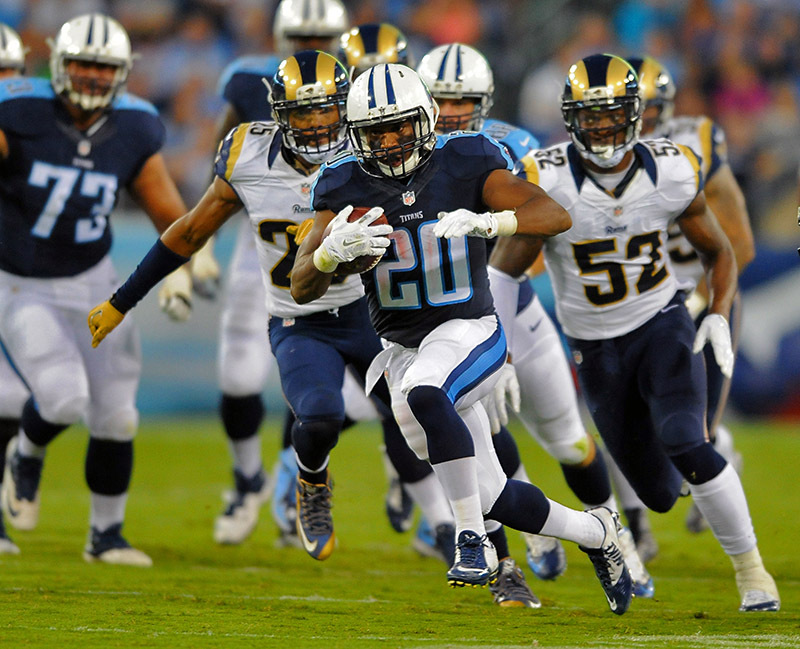 The game will be televised regionally on the Titans Preseason TV Network, including flagship WKRN-News 2 in Nashville. Play-by-play announcer Cory Curtis and analyst Eddie George will call the action, while Dawn Davenport will report from the sidelines. Nashville, TN – Marcus Mariota put in a solid performance Sunday night at Nissan Stadium as the Tennessee Titans beat the St. Louis Rams 27-14 in their second preseason game. 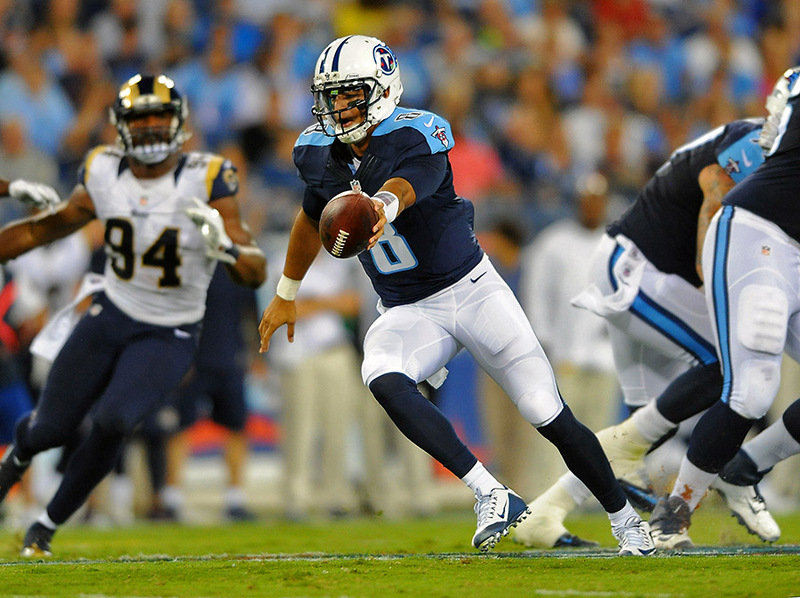 Mariota, who had 2 turnovers and a sack last week, went 5 of 8 passes for 59 yards. He could have easily been 7-8 if not for two dropped passes. One of which was to Dexter McCluster standing in the end zone.